Home office décor can have just as much as effect on your work as getting the right technology set up. Here are a few tips and tricks that experienced entrepreneurs and telecommuters swear by to create a more pleasant, productive and business-boosting home office experience. If you can’t see, you can’t work. OK, it’s a little more complicated than that, but let’s start with the idea that more natural light is better. For work in the office by day, open curtains or blinds and let light in. Be sure to arrange your desk and computer in a way to take advantage of natural light without affecting your ability to read your monitor. If you tend to work when it’s dark outside, lighting in your home office should be adequate and layered. Just the light from your monitor is not enough and you’re bound to get headaches if you try to read by it. Place a few lamps in different positions and elevations around the office and be sure to have light that is behind you if you’re working on a computer during night hours. Just because you work from home, doesn’t mean your office doesn’t deserve corporate-level comfort. Invest in ergonomic seating for your desk, but also splurge in a comfortable reading type chair for times when you want to read a book, go over a presentation, or just take a break with a cup of tea. Choose paint colors that make you feel energized. Add wall art and decorative items that fit your style and inspire creativity. If you can’t work without coffee or tea, splurge on a fancy setup so you can indulge without breaking your routine. If you spend a lot of time in your home office, making sure the air you breathe is clean should be a top priority. Indoor air pollutants such as formaldehyde, VOCs, and carbon monoxide can cause headaches, fatigue, and brain fog – all productivity killers. Studies have shown however, that common houseplants work like nature’s air filters to absorb harmful gases and remove toxins from the air we breathe. Houseplants are inexpensive and easy to care for, so next time you are at a garden center, pick up a few of these proven air-cleaners for your home office: Rubber Plant, Boston Fern, Philodendron, Sansevieria (’Mother-in-Law’s Tongue’), Dracaena, Ficus or Spider Plants. Work can be stressful, but the beauty of working from home is that you can take a quick break whenever you need it without feeling guilty. Create a relaxing space in your home office you can retreat to when you need to disconnect and recharge. Remember the comfy chair we talked about earlier? Settle in with a non-business-related book for 10 minutes. Studies have shown that just 10 minutes of sustained reading can reduce stress by 68 percent. Or have a yoga mat rolled up in a corner you can pull out and use the next time you need to relax, refocus and refresh for whatever challenge comes next. If you have the space, try to dedicate a corner of your office as a studio for YouTube videos, Facebook Live, Instagram Stories, tele-summits, conference calls and anything video so you don’t have to keep setting up and breaking down backdrops and lighting. If you don’t have enough space to do this, think about setting up your main working area to be video friendly. Even though people in videos often look like their desks are floating in the middle of the room with sophisticated art and lots of room behind them, don’t be tempted to try this. Putting your desk that far out from a wall means you’ll have power-source dilemmas for your computer, lighting, etc. Instead, set your desk just far enough away from the wall to give it that floating look, hang some great art, but still be able to run cords and plug everything in. Be careful with your cords, of course, and incorporate safety covers, strips, or any solution that keeps them from being tripping hazards. Office supply stores have lots of great ideas for this. You might also be surprised at one other thing that will benefit from having a desk that looks into a room – your eyes. Staring at a computer all day is stressful for hardworking eyes. By facing into a room, or even toward a window with a view, you can look up from the screen regularly and focus on objects at varying distances to help your eyes refocus and relax. While Virginia may have its own unique style, interior design trends are fun to watch, and some might even inspire you for your own home. I’ve rounded up a list of the top trends experts say will be hot this year so you can see if anything catches your eye. People here in Arlington, Virginia like to be on the cutting edge, so the smart home trend definitely will fit in. In 2019, smart homes will keep getting smarter with the addition of even more technology that allows you to control your environment and perform tasks just by using your voice. You’ll see smart faucets, fans, window coverings, mirrors and even smart toilets (yes, toilets!) that can all be voice-controlled. And technology like Google Home, Amazon Alexa and Apple HomePod will keep them all connected to increase the functionality of the modern home. Custom, handmade, crafted products will still be stylish in 2019 and used throughout homes to add a softer, more homey tone that offsets all the modern smart technology. Chunky hand-woven blankets, pillows, art and furniture made with natural material in soft neutral colors will be popular for bedrooms, living rooms, home offices and children’s rooms. According to House Beautiful, bold accent walls in the bedroom are out, but softly textured wallpaper all around is in for 2019. Sticking to subtle textures and colors, using wallpapers in interesting patterns or inspired by nature will add a visual pop without overdoing it. Another trend for 2019 that antiquing fans, pickers, and junkers will love is the design world embracing anything-goes for furniture throughout the home. No more buying all the furniture for your living room or bedroom at the same store so they all match. Designers are saying this is the year to choose furniture that you love and not worry about being all matchy-matchy. Mix up styles, use antiques next to contemporary pieces, and don’t be afraid to show off your personal style. As winter moves along for us here in Virginia, it’s a great time to think about ways to freshen up your interior either using what you have – or getting out of the house and checking out what’s new in the showrooms. And no matter what, it’s always a good idea to stay true to your own personal style. Curb appeal is the first impression potential buyers have of your home. Things like messy yards or peeling paint can make people wonder about the condition of the rest of your home and mentally start adding numbers for repairs and upgrades. Even worse, a bad first impression can result in an immediate “no” before they even get out of the car. Ask someone to give you an honest first impression of your home’s curb appeal and fix anything you might have missed. If your listing photos aren’t good, your home won’t get the attention it deserves. In today’s high-tech smart-phone world, most buyers will see photos of your home on websites, on social media, and via real estate apps like Zillow at least several times before making the decision to visit in person. Make sure photos are high-quality, professional-grade images shot with plenty of light, wide angles, and showcasing your home’s best features. If your home is overpriced, it won’t sell, it’s as simple as that. An experienced Realtor can give you an accurate value of your home and help you decide on the best asking price that gives you maximum profit while still attracting buyers. You might think you’re being helpful, but always hanging around during open houses, showings, and any time potential buyers are touring your home will drive prospects away. Let your agent handle the showings without you, and just let them know you are available by phone if there are any questions they can’t answer. Buyers want to feel they can talk freely, explore, and discuss the details of a home without worrying about owners hovering nearby and listening in. Your home is cluttered and dirty. Your windows are streaked with dirt, your floors are tracked with the dog’s paw prints, and your teenagers forgot to clean their rooms – again! Dirty, cluttered, and messy homes will turn people away within minutes. It’s hard to imagine living in a home when you’re distracted by the mess. And buyers might make snap judgements and worry that the home hasn’t been taken care of either. Your kitchen tile was new and gorgeous – 20 years ago. The garage door is hanging slightly askew and the guest bathroom pipes make a weird sound when the sink is turned on. Small repairs like leaking pipes and off-balance garage doors should be done before putting your house on the market. Any upgrades should be discussed with your Realtor, who can give you advice on the best projects that will increase the value of your home and give you a profitable return for your investment. You can see throughout this article how important it is to work with an experienced, local professional who has detailed knowledge of the area you are selling or buying in, the current state of the real estate market, and the right actions you need to take to improve your chances for a speedy and successful home-selling experience.  If you’re thinking of selling a home in Arlington, VA or the surrounding area, please feel free to give me a call at (703) 593-6320 or email me at mike@mikesellsvirginia.com for ideas, information, free resources and all the help you need. In this era of frugal mindsets and eco-conscious living, opulent statement homes and massive square footage aren’t appealing to as many homeowners. That’s where low-key luxury comes into play. Ostentatious and overdone homes aren’t what buyers are looking for when they think luxury these days. So take a second thought about adding swirled marble floors, 6-figure custom wall treatments or overly-themed décor. Instead, home buyers are looking for all the extras without all the drama such as game rooms, climate-controlled outdoor sport and living areas, expansive back yards with year-round kitchens, panic rooms outfitted with bathrooms and communications systems, wine cellars with full bars, and spa-like retreats – all hidden behind subtle facades that blend in with the neighborhood. Today’s home buyers want to simplify their lives. That means they want their homes located near shopping, schools, work, dining and other services. An extra 10 or 20 minutes added on to a commute because of locked gates, remote roadways, extended entrances, etc. are not considered a luxury anymore, but rather an inconvenience. While white kitchens dominated the last few years of home design, in 2019 we’ll see a move toward natural materials and colors such as stone, copper, concrete, and granite. Bolder colors, painted cabinets, geometric patterns, and appliance finishes in more than just stainless will be seen more and more. In fact, According to a recent Zillow Paint Color Analysis, which examined more than 32,000 photos from sold homes around the country, homes that used blue or blue-grey paint colors in kitchens and bathrooms sold for thousands more than similar homes that used white paint. Families are looking for homes that will accommodate the entire family and everyone’s special needs. By 2040, there are expected to be almost 80 million seniors accounting for 21 percent of the population. Many homes on the market aren’t equipped to accommodate the aging, so in 2019 expect to see more homes with walk-in showers, and master suites on the main floor, ADA compliant entrances or walkways, and features such as comfort-height toilets that will boost the value and comfort of the home for all. Throughout the United States, 2018 has been a year that defies expectations when it comes to the luxury real estate market. Even though frugal living and tiny homes are hot topics, buyers are still making the choice to pursue their dreams of multi-million-dollar homes. 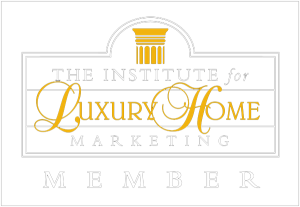 Arlington and surrounding areas in Virginia are no stranger to the luxury home market. Beautiful properties with stunning homes can be found throughout Washington DC, Alexandria, Fairfax, Falls Church and McLean. Even though these properties can be very unique, a few common trends are emerging that can be applied universally for anyone who wants the very best in their own home, no matter how big or small. In today’s high-tech world, homes wired to adapt to the apps we use to control our daily life are highly desirable. Luxury homeowners demand the latest in wiring and accessibility for every corner of their homes. Every homeowner can benefit from adding some technology, however, to the point of elevating them in buyer’s eyes if they list for sale. Check out this Home Technology article for ideas to upgrade your home. Luxury homes mean exceptional quality, but don’t require thousands of square feet to get there. Even in this market, homeowners want just the right amount of space with everything they need – and nothing they don’t. Instead of a dining room you never use, knock out a wall to create a stunning kitchen, or create a space you’ve always dreamed of like a yoga room or cozy library. The heart of the home is the same no matter what size your home is. No matter if you’re a professional cook or just love to putter around with grandma’s recipe book, a luxury kitchen is appreciated in all areas of the real estate market. Trends we’ve seen include spacious islands with second sets of appliances built in, His and Hers Kitchens, and setups equipped to handle everything from grand galas to extended family reunions. High-end homeowners want custom finishes and features that reflect their personality and taste and add a certain wow-factor to their homes. Hand-crafted, specialty items can be incorporated everywhere in a home. Hand-carved doors make dramatic first impressions. Custom outdoor cooking areas, firepits and sculptured landscaping create unique and memorable living spaces. Love to travel? Specially-sourced items from exotic locations displayed in your home are a great way to highlight your unique personality. Homeowners are taking the idea of creating a special place within the home to new levels by creating luxury retreats that cater to their particular interests and give them a place that feels like they are removed from the cares of the world, without the time and travel it takes to jet around the globe. From backyards to basements and everywhere in between, this is a home trend worthy of taking a look at for creating unique and creative getaway zones in the comfort of your home. For ideas, check out this article: Luxury Retreats Just Steps From Your Front Door. When you’re ready to sell a home, staging is always a good idea. But there’s one space often forgotten – outside! Outdoor living and entertaining areas are high on home buyers’ lists, so we’ve rounded up a few tips for maximizing your outdoor appeal. The first thing you need to do for patios, decks and any outdoor space is declutter and clean. Store or give away furniture you don’t use, toys, lawn care and gardening supplies, and anything else that makes it hard to walk around your property or makes the space feel cramped or busy. Thoroughly clean lawn furniture, freshen up cushions and pillows, and get rid of all cobwebs, dead leaves or anything else in corners, around furniture, or stuck to light fixtures. Make sure all landscaping and other outdoor lights are in working order as well, and timers are all functioning correctly. Finally, remove all weeds or dead plants from landscaping or containers and replace with fresh, colorful seasonal flowers and plants. Now it’s time to have some fun staging your outdoor areas. Many home buyers will be considering the potential of your outdoor space for entertaining, play time, or just relaxing after a long day. That’s why it’s important to make the outside of your home as appealing as the inside. Homebuyers want to be able to use their yards, patios and porches as extensions of their home. Staging areas outside to function like living rooms, dining rooms, entertainment areas, and even kitchens puts a spotlight on the potential of your home’s outdoor space. Arrange furniture and add extras to create the ambiance you desire. For outdoor cooking or dining areas, set tables with linens, plates, silverware, glasses and fresh flower arrangements. Create cozy seating areas by adding pillows and cushions to armchairs places ready for a group to sit and chat. Add a center or side table with coasters, wine glasses and candles to make it more functional. For small spaces such as balconies set up a bistro table and chairs with a coffee set, newspaper and flowers for early showings, or stage it as a cocktail hour for later showings. Whether you’re selling your home, or just want to freshen up the home you love and live in right now, I hope you’ve found some fun ideas you’re excited to start working on. Setting the stage both inside and outside your home for sale is a great way to show home buyers the potential of your home and motivate them to start enjoying it as soon as possible. Have questions, need a free home value assessment? I’m here to help at 703-593-6320.